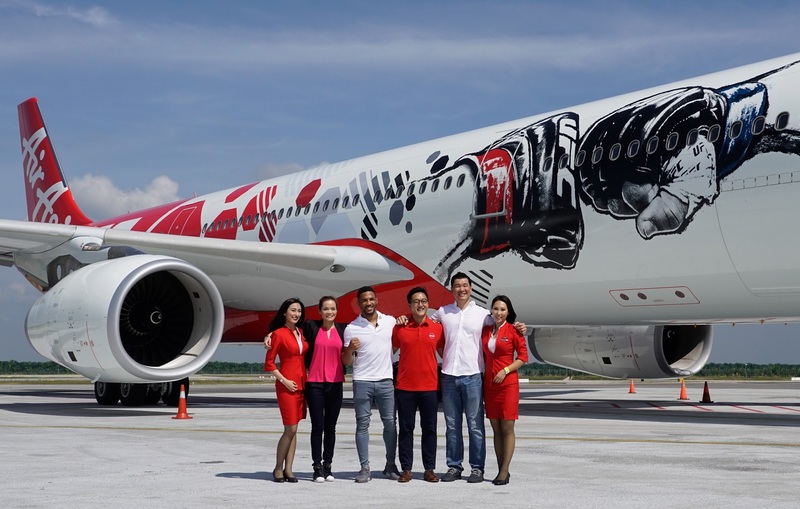 Kuala Lumpur, Malaysia – UFC®, the world’s premier mixed martial arts organization, and AirAsia, sponsor of UFC and presenting sponsor of UFC® FIGHT NIGHT SINGAPORE: COWBOY VS EDWARDS presented by AirAsia, today launched the first UFC – branded livery on an AirAsia Airbus A330-300. The aircraft is the first of its kind in the world to feature UFC branding and is sure to capture the attention of travelers all over the world. Come June 23, fans can expect a world-class MMA event with athletes from around the world. A truly international fight card, UFC® FIGHT NIGHT SINGAPORE: COWBOY vs. EDWARDS presented by AirAsia boasts athletes from Australia, Brazil, China, England, Japan, Mexico, Philippines, Russia and the United States. Tickets to a thrilling night of sporting action at UFC® FIGHT NIGHT SINGAPORE: COWBOY vs.
(prices do not include booking fee). Tickets are now available for purchase online at www.sportshubtix.sg, the Singapore Indoor Stadium Box Office, Sports Hub Tix Outlets, all SingPost locations, and by calling Sports Hub Tix Hotline at +65 3158 7888. S$2,888 for Owners VVIP, with the very best Octagon-side floor seats. All packages include exclusive VIP hospitality in the VIP Lounge, where fans have access to photo opportunities with UFC guest fighters and the UFC Championship Belt. Select packages include a private ‘Inside the Octagon’ Tour and access to the Official After-Party. For the latest card information or current fight news, please visit UFC.com. Bouts are subject to change. More bouts will be confirmed as they become available.